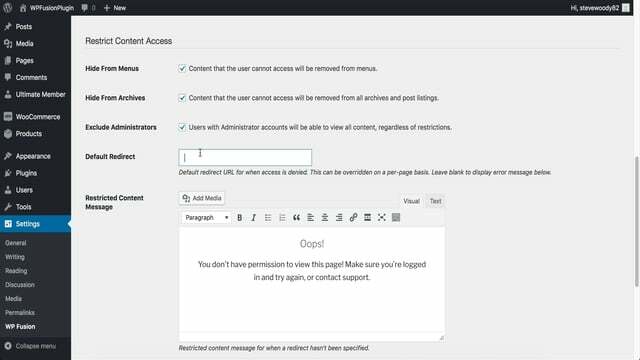 WP Fusion adds a new meta box to every post, page, and custom post type on your site which allows you to control access to your site’s content based on a user’s CRM tags. In the screenshot on the right, we’ve configured this page to be restricted unless the user has the “Webinar Purchase” tag applied in their CRM. If the user doesn’t have this tag applied, they will be redirected to the “Login” page. You can also leave this field blank and specify a custom URL in the field below. If both the redirect page field and custom URL field are left blank, the page will be displayed, but the content will be replaced with an error message (configurable in the WP Fusion General Settings tab). 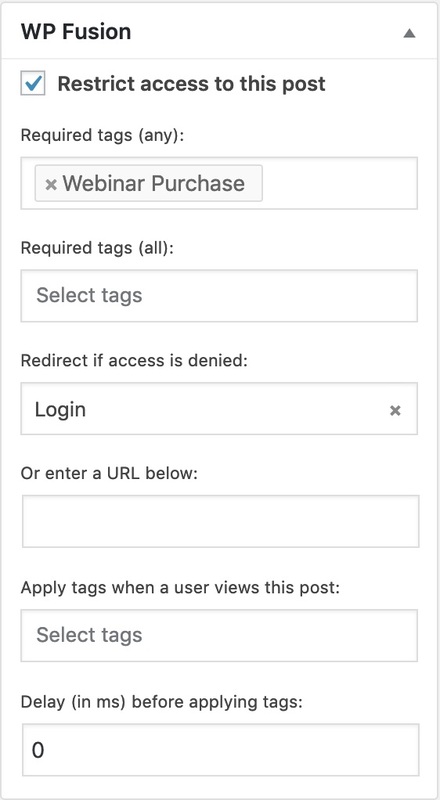 If the “Restrict access” box is checked and no tags are specified, the content will only be accessible by logged in users (regardless of tag). You can also apply settings in bulk by selecting multiple posts, pages, or custom post types from the “View All” screen and selecting “Bulk Edit”, like in the screenshot below. If you check the box for Merge Changes, your new settings will be merged into the existing settings for each post. 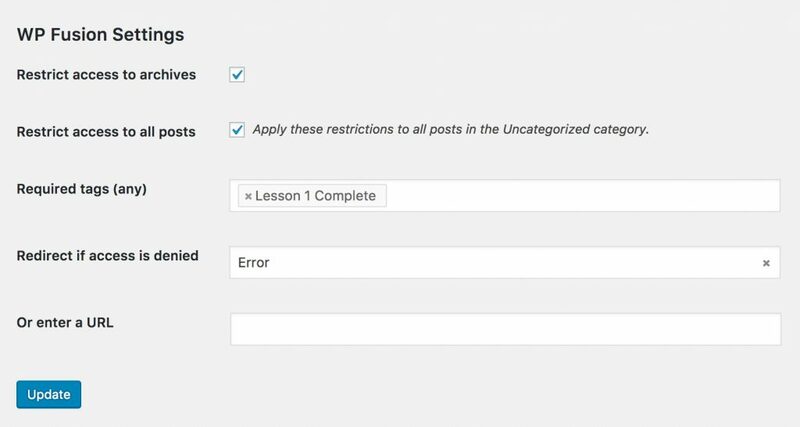 If Merge Changes is unchecked, each post’s content restriction settings will be overwritten by the settings specified in the bulk edit tool. You may wish to restrict access to a category or taxonomy archive page. Click “Edit” next to the category or taxonomy term and scroll down to the WP Fusion settings. The access restrictions work the same way they do for pages. 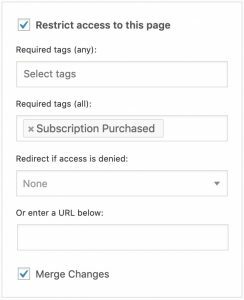 Keep in mind that this won’t restrict all content that has the category, tag, or term specified— it will just restrict access to the archive pages for that content. If you want to restrict access to all content that has the given category or term, check the box next to Restrict access to all. These restrictions will take priority over an individual post’s access rules.